The 420 Pellet Mill has a capacity of 4-6 tons of pellets per hour on feed products and 1 ton per hour on biomass products. It is designed specifically for medium commercial scale pellet production. Pelletizes agricultural by-products such as corn stover, manure, grasses, hemp, and a range of other feed products. Also pelletizing hard woods, soft woods, wood scrap, virtually any type of biomass, paper and cardboard. The 250 Pellet Mill has a capacity of 1,000 lbs of pellets per hour on feed products and 200 lbs per hour on biomass products. It is designed specifically for small to medium commercial scale pellet production. Pelletizes agricultural by-products such as corn stover, manure, grasses, hemp, and a range of other feed products. Also pelletizing hard woods, soft woods, wood scrap, virtually any type of biomass, paper and cardboard. 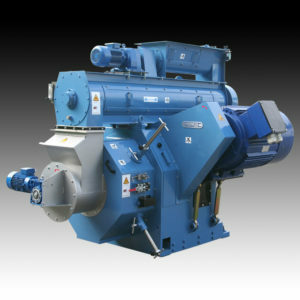 The 520 Pellet Mill has a capacity of 7-12 tons of pellets per hour on feed products and 4,000 lbs on biomass products. 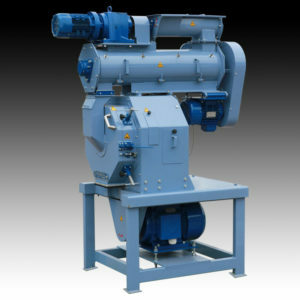 It is designed specifically for medium commercial scale pellet production. Pelletizes agricultural by-products such as corn stover, manure, grasses, hemp, and a range of other feed products. Also pelletizing hard woods, soft woods, wood scrap, virtually any type of biomass, paper , and cardboard. The 850 Pellet Mill has a capacity of 20-35 tons of pellets per hour on feed products. 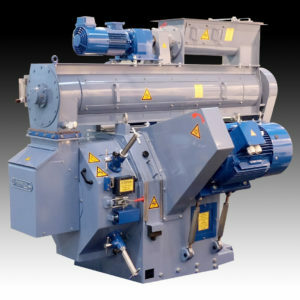 It is designed specifically for large commercial scale pellet production. Pelletizes agricultural by-products such as corn stover, manure, grasses, hemp, and a range of other feed products. The 650 Pellet Mill has a capacity of 12-20 tons of pellets per hour on feed products and 3 ton on biomass products. 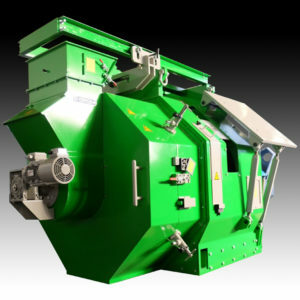 It is designed specifically for large commercial scale pellet production. Pelletize agricultural by-products such as corn stover, manure, grasses, hemp, and a range of other feed products. Also pelletizing hard woods, soft woods, wood scrap, virtually any type of biomass, paper and cardboard. 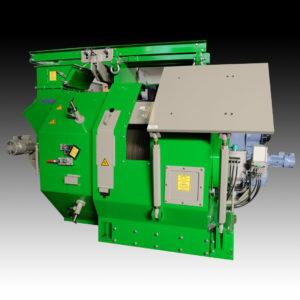 The 350 Pellet Mill has a capacity of 2-3 tons of pellets per hour on feed products and 1,000 lbs on biomass products. It is designed specifically for medium commercial scale pellet production. Pelletizes agricultural by-products such as corn stover, manure, grasses, hemp, and a range of other feed products. Also pelletizing hard woods, soft woods, wood scrap, virtually any type of biomass, paper and cardboard. The 940 Pellet Mill has a capacity of 35-50 tons of pellets per hour on feed products. 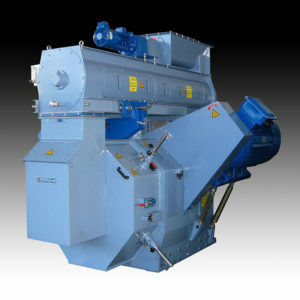 It is designed specifically for large commercial scale pellet production. Pelletizes agricultural by-products such as corn stover, manure, grasses, hemp, and a range of other feed products.